DA NANG (VNS)— Officials from the Ministry of Health and four provinces which pilot a programme on capacity building for health planning and budgeting are sharing their experiences at a two-day workshop that opened in the central city of Da Nang yesterday. Organised with support from the EU, the workshop seeks to assist hospitals in using planning templates and an operations manual issued by the ministry this year for annual health planning and budgeting at the central and provincial levels. 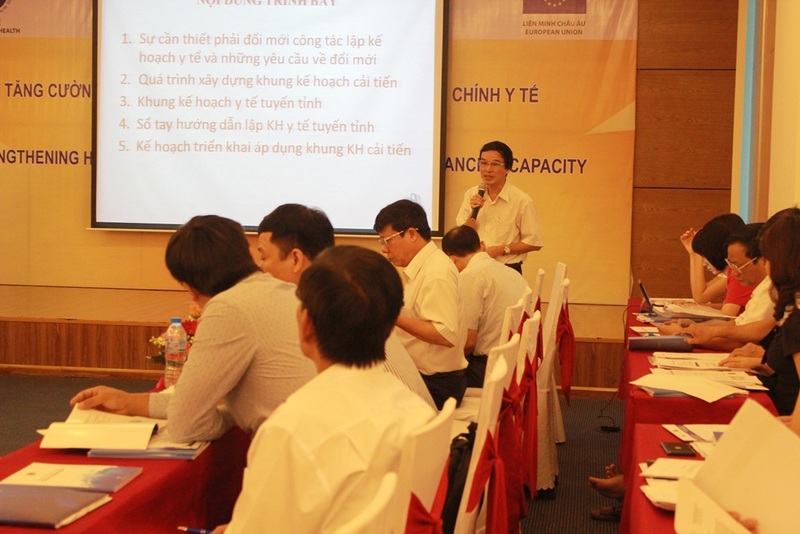 A health official from Bac Ninh, one of the four provinces that piloted the programme along with Ha Nam, Thanh Hoa, and Yen Bai, said his province used the new templates for the 2014 health plan. Hoang Kim Ha, head of policy at the ministry's Planning and Financial Department, said that "the planning templates will help health planning to be carried out in a uniform manner throughout the country." "It will also help define clearly what tasks should be resolved by the locality with Ministry of Health guidance and what tasks should be handled by the locality itself," Ha said. "The new tools will, step by step, indentify the responsibility of each and every level in the health system in providing health care and protection for the people." "The application by all provinces of these planning templates will facilitate and speed up the bottoms-up approach in health planning and projections through the use of information technology." "This will help improve efficiency in planning, statistics, reporting, monitoring, and supervision of the health planning implementation process," Ha added.